So far this season we have explored Christmas Markets, the legend of Krampus, and how the holidays are celebrated in Greece. This week we explore the traditions of Germany, specifically, the Christmas Tree. Christmas trees have been welcomed into millions of homes every Christmas for many, many years. Most of you have already put yours up, or will be putting it up shortly. Have you ever wondered why? Who started this tradition? Why does the presence of a Christmas tree cement the feeling of anticipation for Christmas for each family? The Christmas Tree has become a staple in households across the world and who can you thank for this great, festive tradition? The Germans! While Christmas trees have been mentioned in writings as far back at the 15th century, they did not become popular until the middle of the 19th century. Before then, Christmas trees were put up outside in places such as town square. In the 19th century, nobility started bring the trees inside. Early trees were decorated with lit candles. This tradition transformed into a safer string of lights you put on your own Christmas tree. No need to worry about children or pets knocking down lit candles and setting your house on fire anymore! The Advent is a huge aspect of the holiday season in Germany. They celebrate with Advent calendars and Advent wreaths. 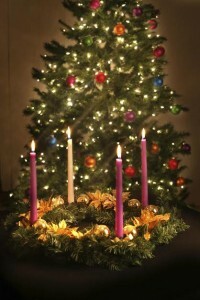 The Advent wreaths lay flat on a table and have 4 large candles attached. 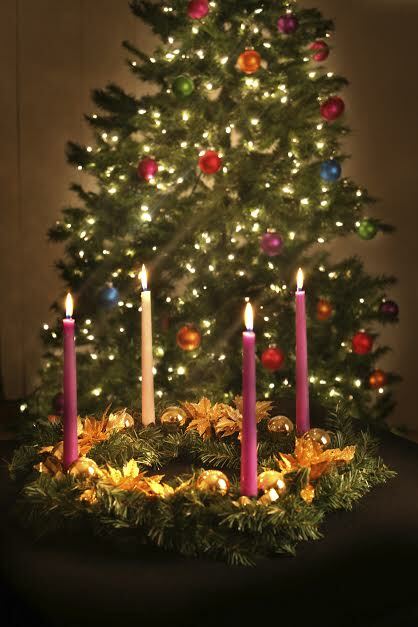 One candle is light each Sunday leading up to Christmas. The Advent calendar was created to incorporate children in the Advent festivities. An Advent calendar is a cardboard calendar with 24 windows. Each day until the 24th of December, a new window is open. What you find behind each window can depend on the type of calendar. Some contain candy and toys while the most common thing you find, in America, is a Christmas scene. Now that you learned a little about how Christmas is celebrated in Germany or found out where some of your favorite traditions come from – Frohe Weihnacht! Our 2014 trip dates have early bird discounts of up to $250 if you book and pay by January 31st. So, what are you waiting for? This entry was posted on Thursday, December 19th, 2013	at 1:54 pm	. You can follow any responses to this entry through the RSS 2.0	feed. Both comments and pings are currently closed.